Lisa Cash Hanson a freelance writer and the blogger behind Mompreneur Mogul, a Mom blogger’s resource filled with blogging tips, parenting & inspiration. Visit her on Twitter or FB , for some great tips & updates regarding the launch of her brand new baby product. Lisa lives Las Vegas NV, with her husband Chad, daughter Matilda, English Bulldog Harley, AKA ” El Diablo” & Hank her Pit Bull ( lap dog) and there’s never a dull day. I’ve lived in Las Vegas for over 15 years. A year ago, my husband and I were totally amazed by the arrival of our first baby girl, Matilda Grace. The minute she came into the world, we gazed at her for hours thinking what a miracle she was. The next thought was, “Our lives have changed forever!” These days instead of big production shows and life on the Vegas Strip, we frequent our local library for story time, visit the parks, or hang out with Matilda’s play group. 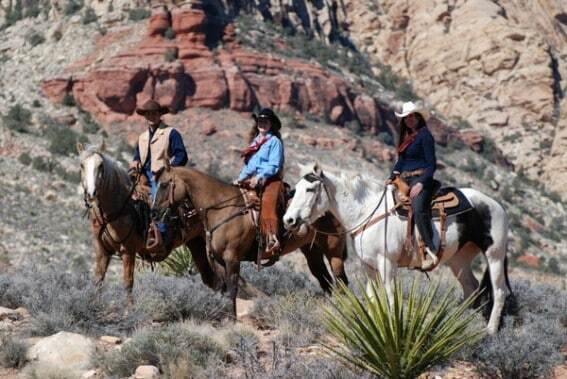 When most people think of Las Vegas, family fun is not the first thought on their minds. As a local Las Vegas mom, I really wanted to share a couple cool places that you can visit with your kids far from adult focus of the strip. The petting zoo is very cool and full of some interesting animals: wolves, llamas, goats, pigs, donkeys & more. It’s small which is perfect when you have to corral small children. At the end of the day when your Fun-O-Meter is maxed out, take the family and head on over to the property’s restaurant for some good ole west cooking–or good ole west chicken fingers– like I eat. I’m not so sure that they are ole west food, but I like them just the same. 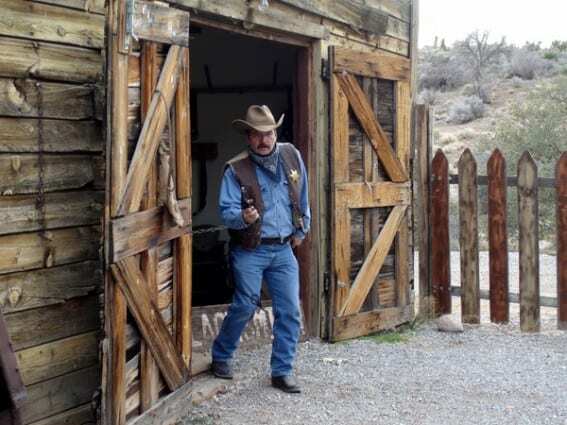 Another kid-friendly attraction is at the Silverton Hotel and Casino. They have a massive aquarium filled with gorgeous fish, sting rays, sharks and a Mermaid! That’s right I said a Mermaid. The best part of this attraction is it’s completely free. Daily fish feeding from 1:30 p.m., 4:30 p.m. and 7:30 p.m. 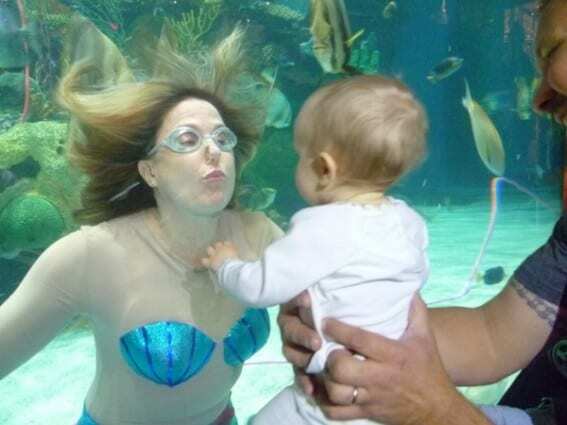 The mermaid show runs every half hour during the following times: Thursday, 2:15 p.m. – 8:30 p.m.; Friday and Saturday, 2:15 p.m. – 9:30 p.m.; Sunday, noon – 7 p.m. Schedule is subject to change, so please call for updated times. You can see from these pictures that Matilda is a big fan of the animals. We always have a great time here. When you come to Las Vegas, make sure you get away from the machines long enough to enjoy some a Mermaid and some Wild West hospitality.